I know you've heard me beat the drum of the simian revolution before. You continue to NOT believe me. You want to continue to fight the War on Terrorism. You somehow care more about North Korea or Iran's lingering nuclear threat. 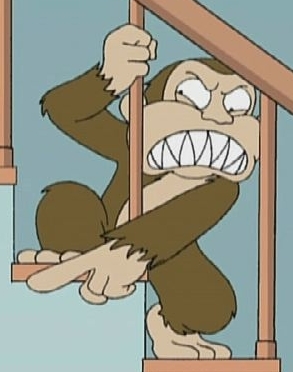 But I'm here to warn you, the monkey threat is real. Case in point. They are learning to use tools. These are stone age level tools, to help with eating termites. And now we find the toolkit has extended to Honey. According to researchers this is a natural part of evolution. And after eating Loukoumades at a Greek festival last night, we're talking it's a matter of time before these chimps are deep frying batter into balls! And once these Chimps can reward themselves with dessert. There's no telling what they can achieve. 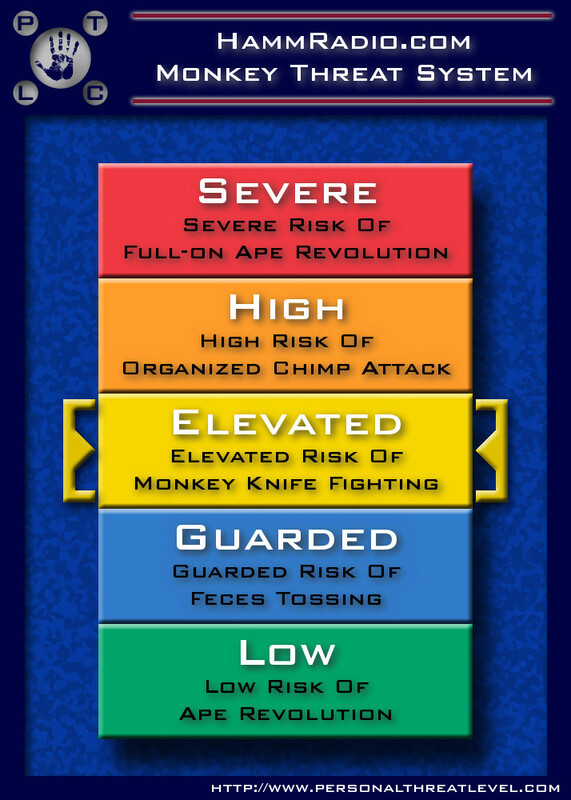 That's why we are raising the Monkey threat levels to Elevated "Risk of Monkey Knife Fighting"